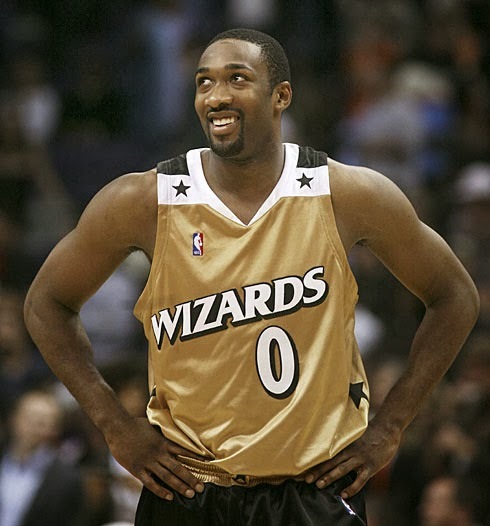 Its been a long time since we have seen 3 time All-Star Gilbert "Agent Zero" Arenas on the court, but for the first time since the 2011-2012 season we may be getting to see him in an NBA uniform very soon. Long gone are the days were this guy was a top talent. Long gone are the discussions were people thought Arenas was one of the best players in the league. So were does he go now? Who wants to take a shot at picking up the washed up former star? That is a question we can only guess at this moment. He may be washed up...but trust me when I say he still can play ball. 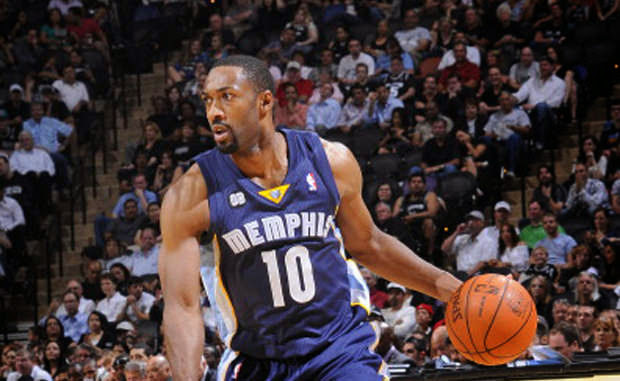 Arenas's last NBA appearance was with the Memphis Grizzles in the 2011-2012 season where he only ended up playing a total of 17 games. Who remembers when he could drop 20+ on any given night? Not many...because he is the definition of a washed up player that has certainly disappeared in the minds of basketball fans. Making his debut at the age of 19 we see that he still could have something in the tank as his age at this moment truly isnt all that bad for a team to consider him. I wasn't the least bit surprised to hear he was planning to return as he only is only 31 years old...an age that obviously still will make teams want the career 20.7 scorer. At an age of 31 teams will bite, teams will want to see what the former star has got left to show on the court. We cant say he will be good but we also cant assume that he automatically wont make an impact. If Arenas has stayed conditioned and in true basketball shape it should be no shock if he gets some good playing time on a low market or struggling team that is looking for a guard. 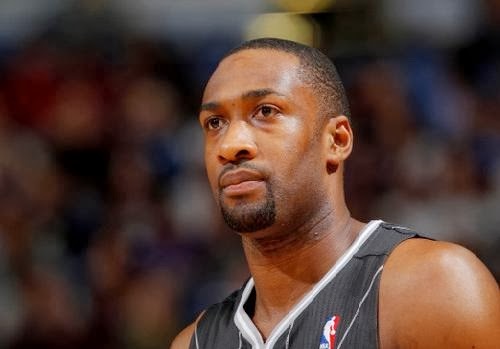 Arenas revealed in several recent interviews that he plans on making a return and wont give up till he proves to teams that he still can play consistent basketball. As for NBA fans it seems they taking this situation lightly. Since his leap of absence from the league he has been the subject of constant memes, jokes, and of course laughter of his issue with gun problems. We all recall the 2009-2010 investigation that led to a lengthy Arenas suspension. 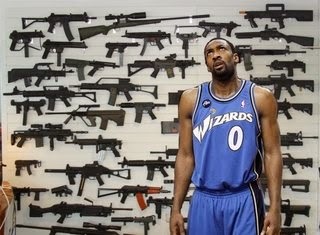 On December 24th, 2009 he revealed that there had been unloaded firearms stowed in his locker in the Verizon Center during his time with the Wizards. This led to an indefinite suspension with no pay whatsoever. 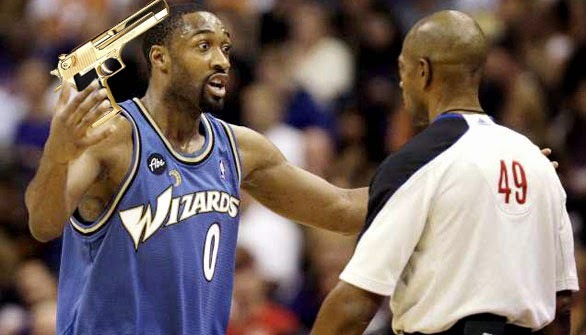 Not only did he violate NBA rules about containing firearms but also Washington D.C.'s laws. 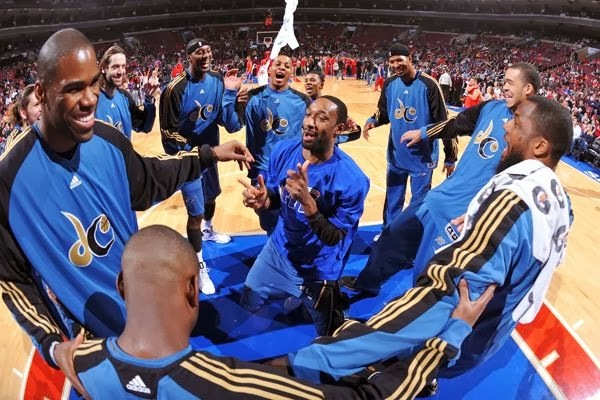 After an on court incident that involved Arenas play shooting his teammates respect soon shot down for the franchise player/from not only the Washington fans but many in the NBA world. On March 26, 2010, Arenas was convicted for his crimes and was sentenced to two years probation and 30 days in a halfway house. So how does this have anything to do with his return? In my opinion this whole gun incident is where his brilliant career started to fall. After being traded the following season to the Magic and then shortly waived and picked up by the Grizzles the former NBA Most Improved player (2003) looked to have fallen off the mark. Though we most likely wont see him this season Arenas said he will train hard all the way up to the summer and then seek to be a part of a teams roster. In a recent interview with Bleacher Report Arenas talked about what he could bring to the table for teams as he he replied "I would rather just show them. All they would have to do is give me an opportunity to perform in front of them. You know, I'm a gamer. I work hard. If I'm going to come to your team, or try out for your team, I'm going to give you my all. That's what I did [when I played]". If you neglect his last year in Washington and the quick stints with the Magic and Grizzles you really see nothing but a hard working, no complaints player. This was a fit guy who was beyond athletic and was often in the gym training to get better. He is known as a "gym rat" to many as he was seen working out about 3-4 times a day during his time in Washington. I think if he trains hard and gets back closely to his old self at age 31 he truly could be something special. I can put any teams on him right now that he could play for since franchises might look different come tip off next season. If he was to return today I say some teams that would fit Arenas could be the Knicks (Carmelo needs another outlet, someone who can take the pressure off him), Bulls (absence of Derrick Rose), or heck even the Lakers with Steve Nash nagging with injuries. He even trained with the Lakers during the offseason but was later not put on the 15 man roster. Arenas also revealed in an interview with BR that he "called Jason Kidd before the season and said 'Listen, I feel that I can be better than some of the players you're going to have". In my opinion I think he could have been a good fit for the Nets bench, in no way he will be a starter when he decides to return...but he could be a deadly bench player. Should we be happy that he is attempting a comeback? Its all about personal opinion. Some people will be thrilled he is back and some wont. He isn't the most popular guy out there anymore but don't be mistaken if you still think he cant make an impact in today s game. Arenas is coming.